I would hope for the NBN Co it is in honest jest. I do wonder? I expect we are now able to connect our Brisbane property to the NBN HFC service. Aussie Broadband has already letter box dropped us a week earlier. Surprise no1. On contacting our ISP IiNet they also provided an affirmative. I had pre-registered for notification last year. There has never been any notice though from iiNet. Surprise no 2. The NBN Co rollout map was showing “under construction” at the time I contacted iiNet. Hence there remained some sceptism as to dodgy marketing tactics? Not surprised! The NBN map has now subsequentlly updated to “service available”. Really really surprised! Our Body Corporate knows nothing. The manager suggested not until middle of the year. Totally predictable! Still to choose a plan and possibly change provider. We don’t need a large data plan. 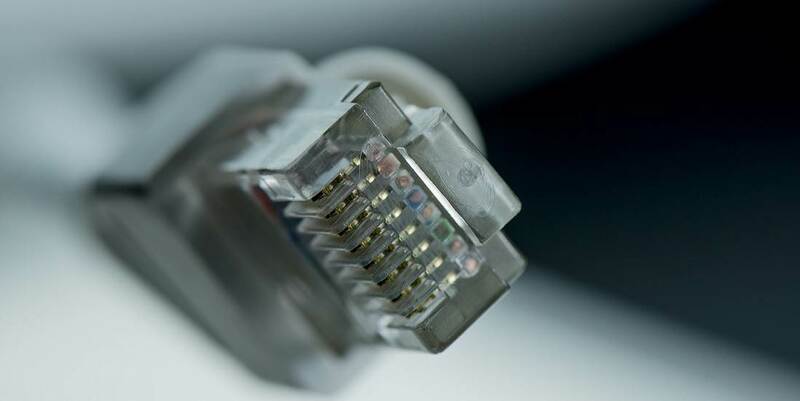 The online plans and the Choice guide are skewed towards 50Mbps or faster speed plans. We have managed ok on ADSL2+ at 12-14Mbps for so long, including streaming to one only TV. There appears to be lots of ‘added value’ with some of the 50Mbps tier plans, assuming you accept a 2 year contract and RSP router for VOIP. Typically $80pm. The options to spend less drop speed, data, free router, free Fetch, and included phone calls! $60 pm with iiNet offers 12Mbps and 500GB. Nothing extra! You are tied to their technicolor router if you take the direct path to phone service porting. More cost! What odds a miserly 12Mbps speed plan is not slowed in the peak evening period? Unfortunately there is no data in the Choice review as a guide for the slower speeds! Aussie BB for $55 M2M offers 25Mbps and just 100GB of data. You can BYO a router and they will port your phone no. Their online call staff offered to assist with your phone set up too! Still looking! 17 months and 29days left to decide, once the still missing RFS advice arrives? I’ve used a “Gold” (50|20 Mbps) NBN HFC service since January 2017; with observed upload and download speeds usually close to nominal (within 10%). My ISP is Internode, and the only equipment they could interface to at the time was through an Arris CM820 cable modem to a Huawei HG659 Router. The service has been adequate, though the router is particularly brain-dead, especially compared with the Fritz!Box router I used when connected to ADSL. In November 2018 NBN wrote to me about “Your nbn™ supplied equipment upgrade”, which after some research I found to be the replacement of the cable modem with an Arris CM8200 modem. Faster, and more importantly, DOCSYS 3.1 compliant. I arranged an installation date in January using the nominated 1800 687 626 (option 5) number. Since then NBN has arranged to change the installation date three times, the last time (February) just a phone message to “call us in a few months to arrange a time”. Which I did, today. Since I started calling in December I’ve noticed the voice quality over the 1800 number has become almost unfit for purpose. The recorded message on connection is almost unintelligible, as is the voice quality of the human I’ve spoken to once the connection has been established. I’m left with two questions. Is the voice quality of the 1800 line being used in a deliberate attempt to try to get frustrated users to give up? Has anyone succeeded in accepting this “equipment upgrade” from nbn™? Can anyone understand the voice messages on the 1800 phone line? Our NBN connection is so slow that often when you try to connect to a site it times out and fails. We have to have a wireless connection and we are only about 500 metres from the tower in direct line of sight. A fibre optic cable runs through our property about 30 metres from our house but we are not allowed to be connected to that. Another LNP “service”.